Is located in the center of the campsite, near the snack bar, our nice whale (bounce house) and the swing. 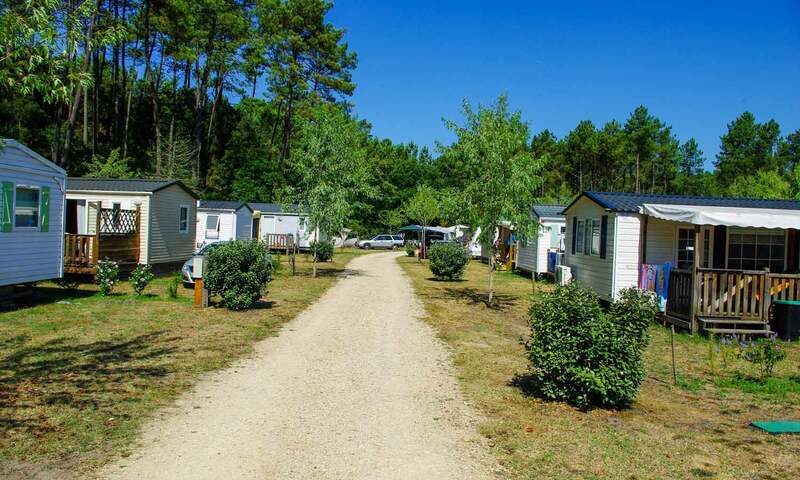 In just a few minutes drive you are at one of the most beautiful beaches in the Landes. We are 7km from 3 beaches that are monitored by lifeguards during the summer. Downtown St Girons has shops, bars, and restaurants next to the north beach. Heading towards Moliets the Lette Blanche beach also has a lifeguard but no businesses are allowed, just the woods, a parking lot under the pine trees and then the ocean. Follow our weather vane for fun, cool off or relax on our sunbathers because new in 2017 is our heated pool!!! Everyone bring your bathing suit (swim shorts and food are prohibited). Walk through the footbath to rinse off and then you’re next to the pool. With its wading pool our little ones can soak under the watchful eyes of their parents, while adults can swim in the pool, which deepens on a gentle slope. Reception is open from 9:00 AM to 8:00 PM every day! 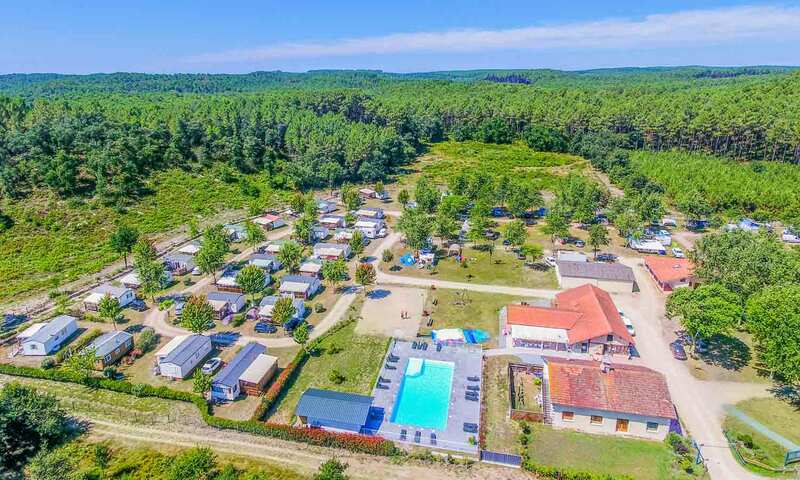 The campsite is open from Wednesday, May 1 to Monday, September 30 2019. Come enjoy our comfortable accommodations for your stay in the Landes. Our mobile homes are equipped with all the services you need for a great holiday. The pitches are also spacious with modern and handicap accessible facilities. 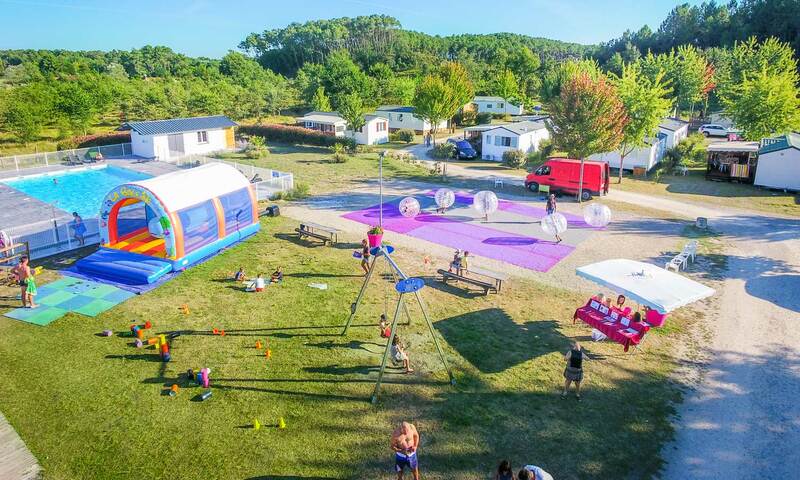 The La Jaougotte campsite is located in Vielle Saint Girons in the heart of the Landes forest. Many villages in the vicinity provide both tourism and recreation. The village of Leon is one of the most typical villages of the Landes. The half-timbered houses surround the old village church. A traditional daily market will allow you to discover the products of the south-west. 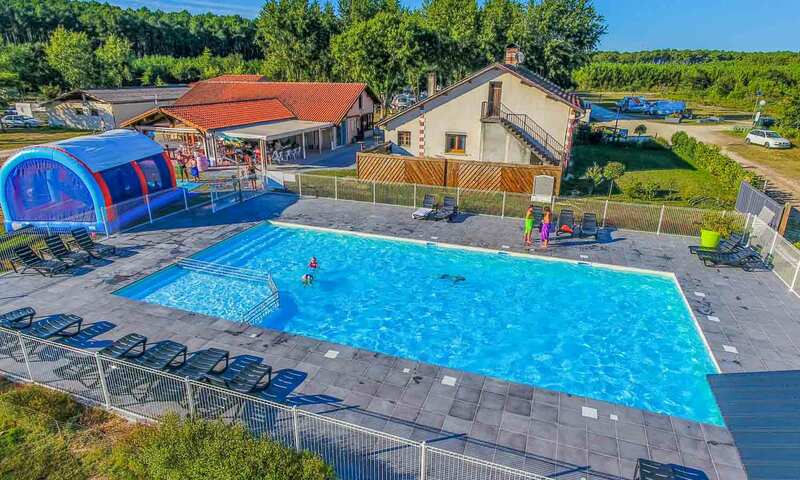 Vielle Saint Girons welcomes you and provides you with a beach, waves, and its tradition for a successful holiday.